As early as 2020, hydrologists forecast that the level of Lake Mead, the largest reservoir on the Colorado River, could drop low enough to trigger the first water shortages in its downstream states of Arizona, Nevada and California. The three states in the river’s Lower Basin have long feared shortages. But the continued decline of Lake Mead reflects a reality they can no longer ignore: Demand for the river’s water, which supports 40 million people from Wyoming to California, has long outpaced the supply. 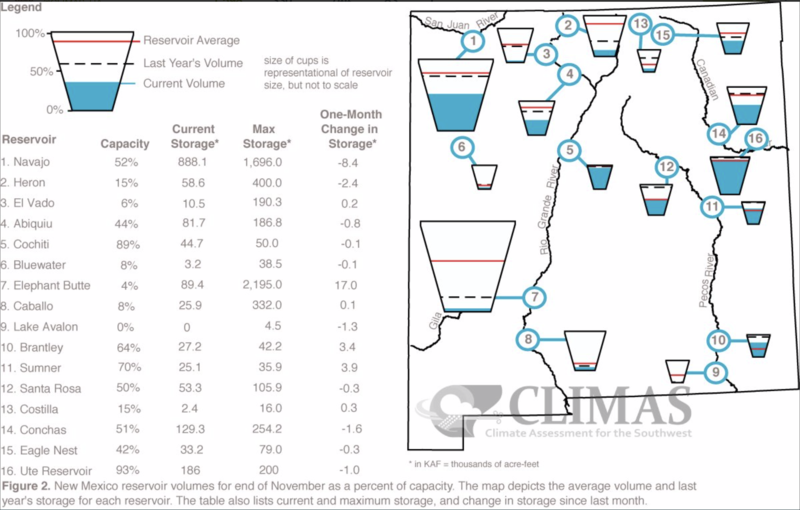 On top of that, the supply is shrinking, as the spring snowmelt that once filled reservoirs becomes less reliable, and historically high temperatures evaporate the water that remains. Booming populations, drought and climate change will continue to compound the imbalance. The river’s flow has declined by nearly 20 percent in the last 15 years alone, and it could plummet another 55 percent before 2100, according to climate scientist Brad Udall at the Colorado Water Institute. Now, to stave off catastrophic shortages and win-or-die legal battles that could leave some communities high and dry, the seven states in the river’s Upper and Lower basins are close to finalizing a deal to prepare for a much drier future. 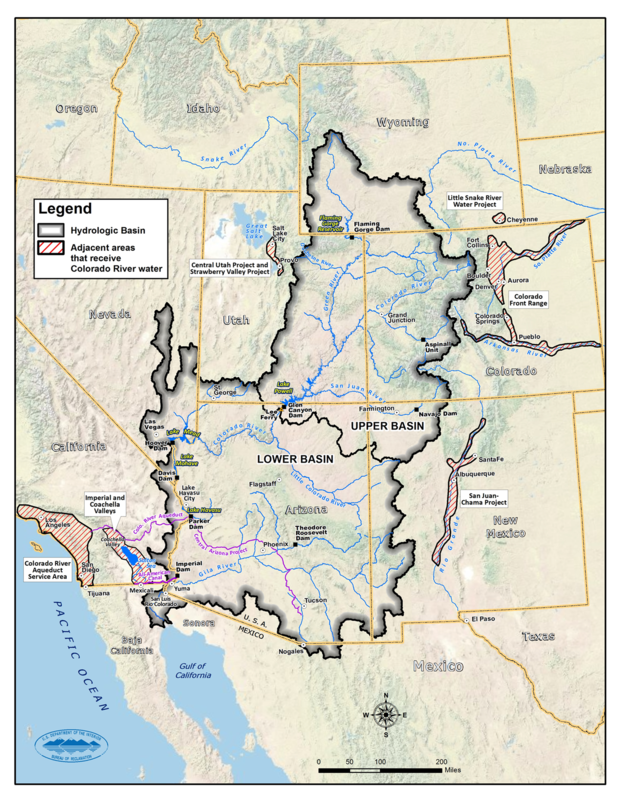 The so-called Drought Contingency Plans would distribute the pain of the coming cutbacks between the Upper Basin states, where most of the water originates, and the Lower Basin ones, which use more than half of the river’s water, sustaining cities and agriculture in the nation’s most arid landscapes. At the moment, scarcity isn’t as much of an issue in the Upper Basin, which still has plenty of water but lacks an adequate system for storing it. That has historically encouraged Upper Basin water users to use as much of their share as possible and send as little water as necessary on to Lake Powell. Lake Powell sits just upstream of Lake Mead. Its main function is to ensure that the Upper Basin can meet its annual obligation to deliver water to the Lower Basin. Just how much the Upper Basin states have to send to Lake Mead, though, depends on Lake Powell’s water level. 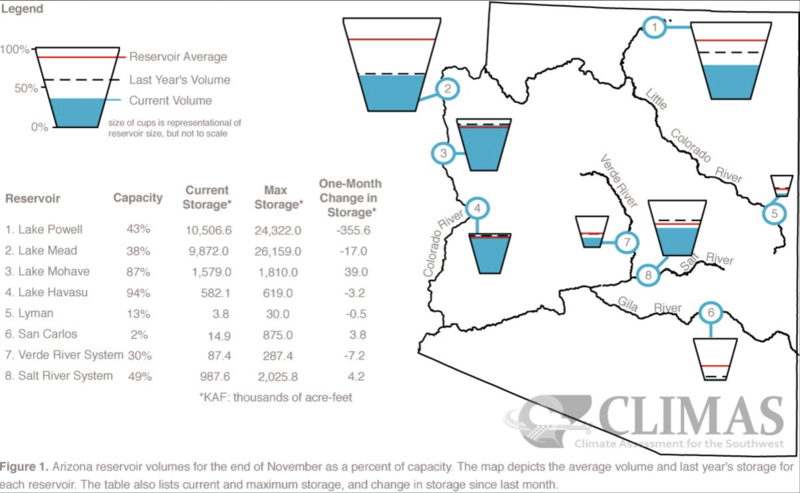 That matters because if the Upper Basin keeps using its entire allotment, and the overall supply keeps shrinking, Lake Powell could drop to levels that will deliver yet another hit to the Lower Basin’s already fragile supply. For the Lower Basin states, then, the drought-planning process is an exercise in self-protection. It’s intended to show that they’re starting to address their overuse — and convince the Upper Basin states to help protect them from catastrophic loss. The Lower Basin has been trying to hash out a plan to reduce water use for a few years now. Arizona and California have yet to fully resolve major internal conflicts over how much water to conserve and where to do it. But once they do, the three Lower Basin states will sign a joint agreement to begin leaving more water in Lake Mead. The long-term goal here is to correct the reservoir’s so-called “structural deficit.” To halt its decline, in other words, the Lower Basin states need to stop taking out more water than flows in each year. For their part, the Upper Basin states — Wyoming, Colorado, New Mexico and Utah — have already finalized a collective agreement to keep Lake Powell above the critical levels that would trigger smaller annual releases to Lake Mead. Once both basins’ agreements are final, all seven states need to ratify the entire package. They have until Jan. 31 to iron out the final details and bring the package to the U.S. Congress for a final vote. Should they fail, the federal government has threatened to step in and impose its own plan. As negotiations enter their final stages, here’s an overview of the dynamics in each state — and the questions that still need to be resolved. Wyoming has more water than it needs. A few things to know: Wyoming is the least-populated state in the country, and its water use is unlikely to rise dramatically anytime soon. 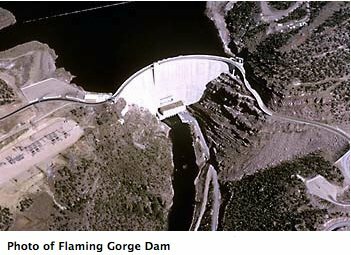 In the drought agreements, the state agrees to keep more water than it has in the past in the Flaming Gorge Reservoir, Wyoming’s largest reservoir. That water can then be used to help regulate the level of Lake Powell. 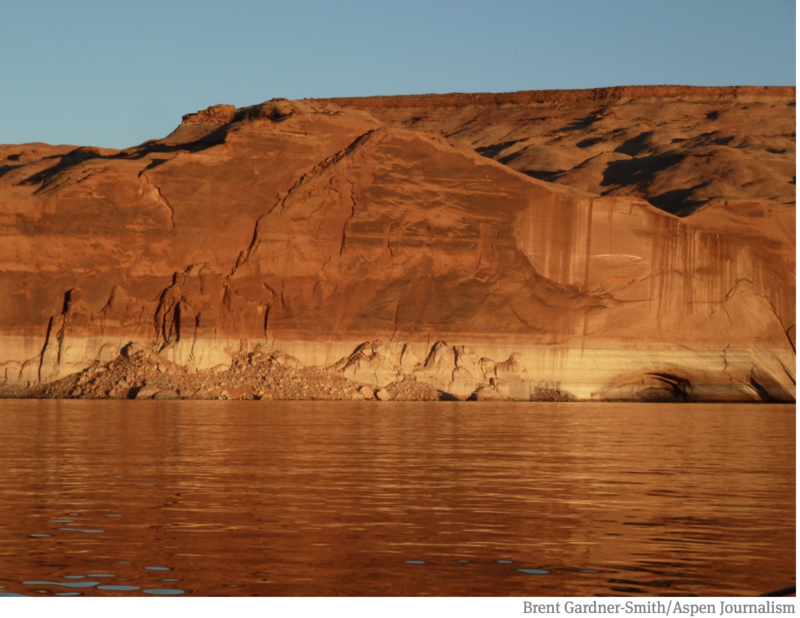 Colorado farmers are weary of sacrificing water to prop up Lake Powell. A few things to know: Colorado claims the largest share of the Upper Basin’s total allocation of Colorado River water — about 60 percent. Despite growth in Denver and on the rural Western Slope, water use in Colorado is actually trending downward. That’s partly because of the success of conservation efforts, which Colorado has pledged to continue. Releases from its largest reservoirs, Blue Mesa and Navajo Lake, will help keep Lake Powell filled when necessary. The sticking point comes from agricultural interests on the Western Slope, who say they will oppose a final agreement that forces them to use less water in order to boost Lake Powell. They believe such contributions should be voluntary, and that Colorado should stipulate this. Utah has plans to grow, and it wants more water to do it. A few things to know: Conservation efforts in Utah pale in comparison to Colorado, Nevada and California, where booming populations have proactively curbed water use. But Utah would rather just expand its water use to support its growing population. Washington County, in the southwest corner — home to St. George, the state’s fastest growing metro area — is driving plans to begin taking all the Colorado River water Utah is entitled to. It hasn’t done this yet because it hasn’t needed to, nor does it have the infrastructure to move all that water to places like Washington County. The state is now trying to build a massive pipeline from Lake Powell to southern Utah, where lush lawns and golf courses are multiplying in the red rock landscape. State officials say the project is necessary, but they haven’t figured out how to fund it. And if the Colorado River gets low enough in the future, there might not be water to fill it. How exactly New Mexico will contribute to the drought plan is a mystery. A few things to know: The Colorado River does not flow through New Mexico, but some of its main tributaries do. Even though the state is a relatively small player in the basin, the Colorado has been crucial to its development: Sixty percent of the water used by New Mexico cities and industries, as well as 15 percent of the water used for farming, comes from the Colorado River Basin. New Mexico has signed onto the drought contingency agreement, but state water managers are strangely silent about what exactly the state has agreed to do to reduce its water use, as required by the Upper Basin agreement. Arizona is holding up the basin-wide plan because it can’t agree on how and where to cut its water use. A few things to know: Arizona, the major holdout in the planning process, has struggled to resolve internal political disagreements over exactly how — and how much — it should conserve. The state has the basin’s most junior water rights, making the stakes of the drought plan especially high here. Technically, when water is scarce, more senior rights holders can take all their water before delivering any to junior users, and so Arizona is being asked to make deeper sacrifices than Nevada or California to keep Lake Mead from plummeting. That’s forcing cities, tribes and agricultural communities to compete for water and make extremely difficult decisions. Large agricultural economies in central Arizona, in particular, stand to lose. Arizona does now have the basic outlines of a plan in place, which by state law must be approved by the Legislature. Officials hope to deliver a plan to the Legislature by the end of the year. 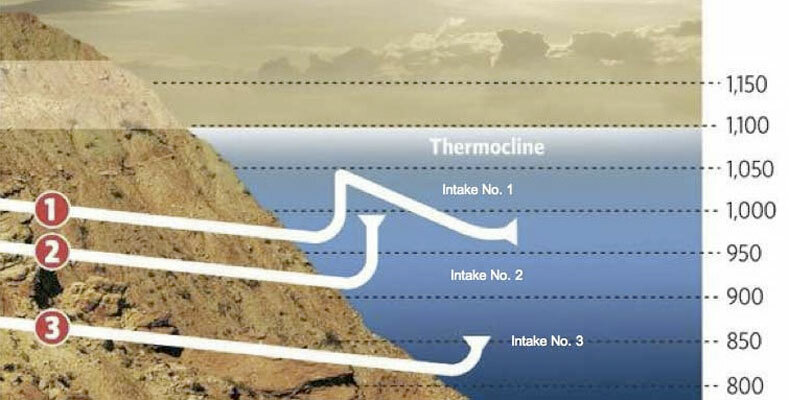 Las Vegas Lake Mead intake schematic, courtesy SNWA. Nevada has offered a generous contribution to Lake Mead — but only in the event of a shortage. A few things to know: Nevada is frequently touted as one of the West’s biggest water conservation success stories. Indeed, after the punishing 2002 drought, water managers instituted aggressive policies to reduce water use, such as offering residents money to convert grassy lawns to less thirsty desert xeriscaping. The Las Vegas Valley reduced its water consumption by 36 percent between 2002 and 2017, despite adding 660,000 new residents. Nevada has volunteered to forgo about 10 percent of its Colorado River allocation when Lake Mead’s levels drop below 1,045 feet, triggering a shortage declaration that would reduce water deliveries to Nevada, Arizona and California. 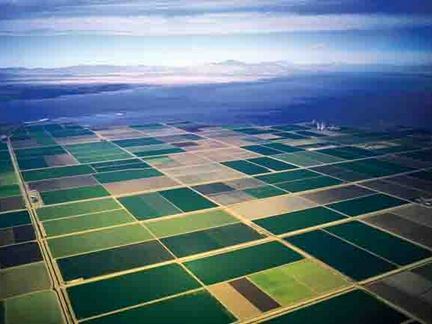 In California, a battle is brewing between Imperial Valley agriculture and the coastal cities. A few things to know: California has the largest entitlement to Colorado River water. One outstanding issue in the current negotiations is California’s Imperial Irrigation District, which gets 3 million acre-feet of water a year, most of which goes to farms. That’s nearly 70 percent of California’s share of the river, and more than the entire states of Nevada and Arizona get. Because it’s the single largest water user in the basin, the Imperial Irrigation District needs to help the state make sure it doesn’t take more water than it should under the Drought Contingency Plan. But growers are concerned that potential restrictions could violate their historical water rights and limit their future use. Paige Blankenbuehler is an assistant editor for High Country News. Email her at paigeb@hcn.org or submit a letter to the editor.